Is the Black Friday frenzy losing its grip? That's what it felt like at one Target in a New Jersey shopping plaza early Friday morning. Hundreds of customers had already lined up for the store's 6 p.m. open on Thursday. Discounted Beats headphones, XBox Ones and PlayStation 4s were the first to fly from the shelves. And by dawn on Black Friday, the shelves were restocked for the next wave. But the shoppers only trickled in. It's impossible to project a trend from one shopping mall and one of Target's 1,800 U.S. stores. That same Target a few hours later was in the regular swing of holiday weekend shopping. The parking lot was full and aisles busy. Employees carried off cardboard bins once full of $6 DVD movies, now empty. But more retailers are opening on Thanksgiving and starting sales even earlier in the week, and of course more customers are buying online. All that lessens some of the early-morning surge. Target (TGT) indicated that business was strong leading up to Black Friday. Online sales boomed on Wednesday, and Thursday was the company's best-ever for cyber business. 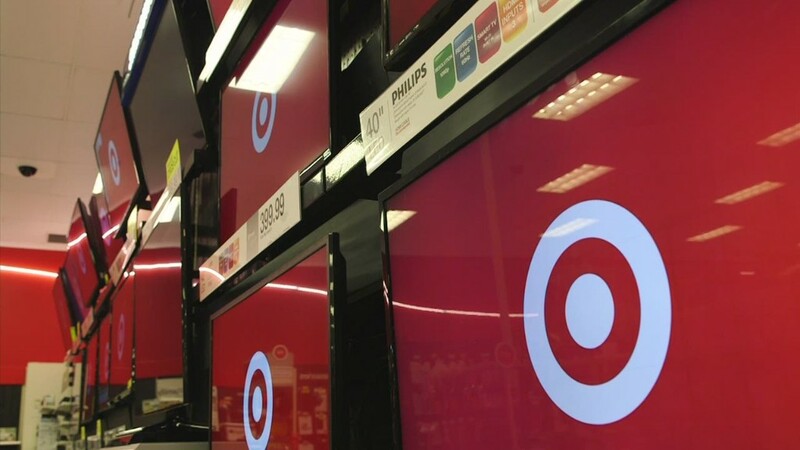 On Friday, some shoppers at the New Jersey Target said they had gotten started the night before by using Target's shopping app. Not to make purchases but to select the items they'd look for the next morning. One young mother, who preferred to go by Rachel J., hoped that keeping to her pre-selected, 20-item list made her a more disciplined and frugal shopper. Still, she expected to spend $250 and instead ended up dropping $337.40. In-store Starbucks (SBUX) baristas recalled the long lines of shoppers who had refueled with caffeine for midnight shopping. The usual one-person team was bulked up to three employees. But by 7 a.m. Friday, it was just business as usual. 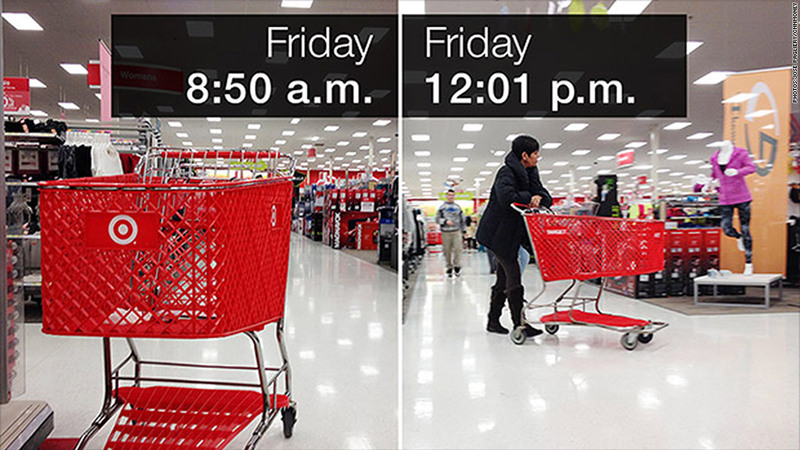 Black Friday traffic is changing: There were few customers in one Target early Friday after a busy Thanksgiving. But the store returned to a normal busy day within a few hours. Not everyone was lured in on Thursday. Outside in the snow covered parking lot on Friday, Dawn Fisher packed away a handful of items in her trunk: pajamas for her teenage daughter, pots and pans for a holiday charity drive at work. Fisher said the slightly lower prices hadn't been enticing enough to ditch Thanksgiving dinner the day before. Among the things Fisher and the family were thankful for this year: The fact that none of them work in retail and have to work during the holiday. "It's a family day," she said. "If they want to open up and take that away from their employees, that's their problem."